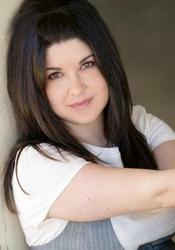 Colleen Clinkenbeard is a voice actor/ADR director/ADR scriptwriter/ Line Producer for FUNimation Productions. Her voice acting credits include: Fullmetal Alchemist (Rose Thomas and Riza Hawkeye), One Piece (Luffy in the new FUNimation dub), Shin Chan (Himawari and Maso), Trinity Blood (Sister Esther), Solty Rei (Rose), Witchblade (Reina), Tsubasa: Reservoir Chronicle (Yuko), Kiddy Grade (Éclair), Case Closed (Rachel Moore), Burst Angel (Maria), Samurai 7 (Kirara), Kodocha (Mama), Negima (Sakurako, Shizuna), Origin (Jessica), Rumbling Hearts (Mitsuki), Basilisk (Hotorubi), School Rumble (Anegasaki), Lupin III: Dead or Alive (Oleander), Lupin III: Farewell to Nostradamus (Mary), and Diamond Daydreams and Ghost Train for ADV Films. She has also been featured in the video games: Aeon Flux, Spike Out, Battle Zone, Blood Rayne II, Stuntman, Fullmetal Alchemist, Fullmetal Alchemist II, Dragon Ball Z: Shin Budokai, and Dragon Ball Z: Budokai. Colleen's ADR Directing credits include Fullmetal Alchemist, Tsubasa: Reservoir Chronicle, Kiddy Grade, Kodocha, Negima, Moon Phase, Sakura Teisen: Ecole de Paris, Case Closed, and Aquarion.